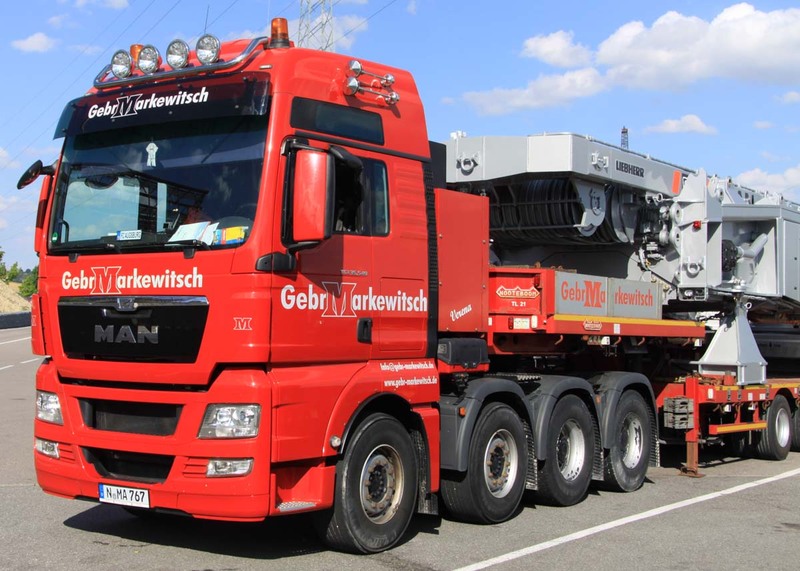 This sharp MAN TGX 35.540 of Gebr. 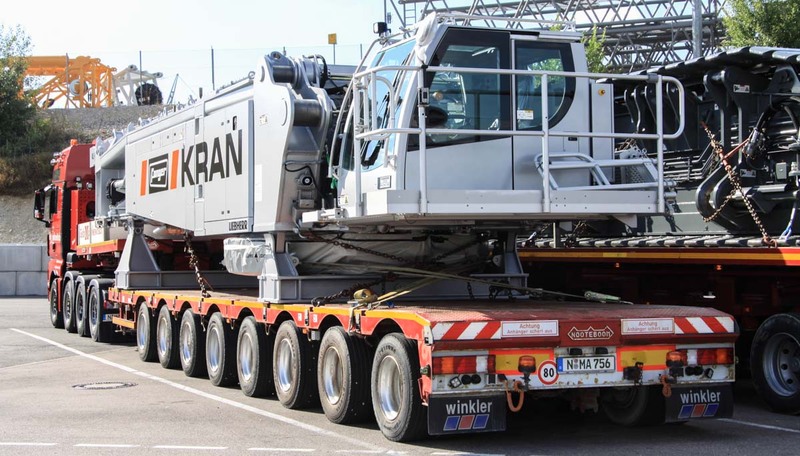 Markewitsch from Nürnberg (DE) stood parked at Liebherr's parking in Ehingen (DE) with the superstructure of the new Liebherr LR 1750/2 for Fanger from Sachseln (CH). 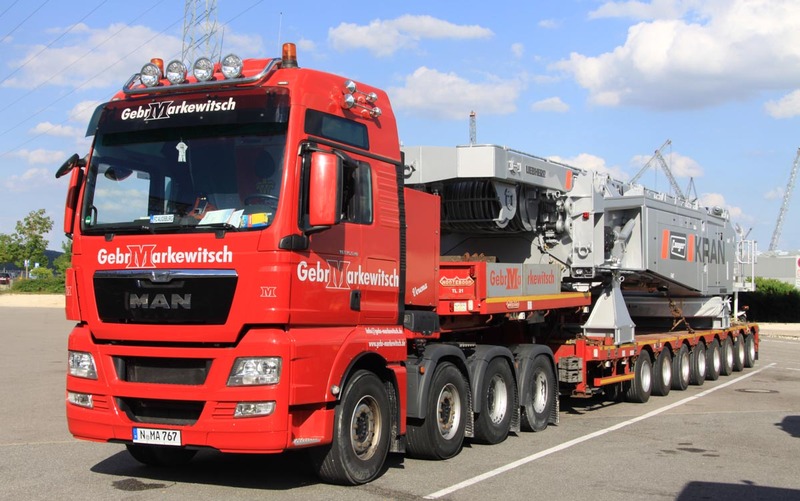 It is a retrofitted MAN TGX 33.540(with 6x4 drive line) where a steerable, non-driven second axle was attached to. 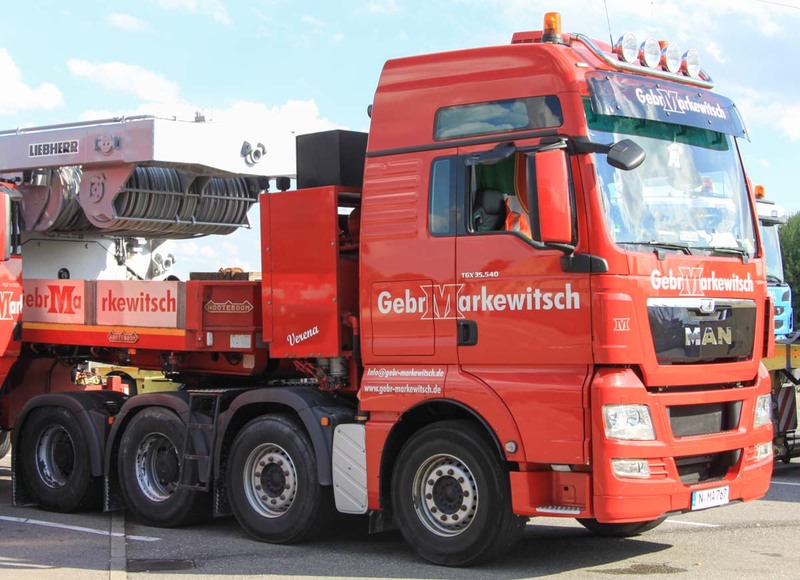 The result is a very compact 4 axle heavy haulage truck. Powered are the two rear axles by a MAN D2676, a 6-cylinder 12.4 liter diesel engine with 540 hp. Behind the front axle only a small space was available for the muffler. 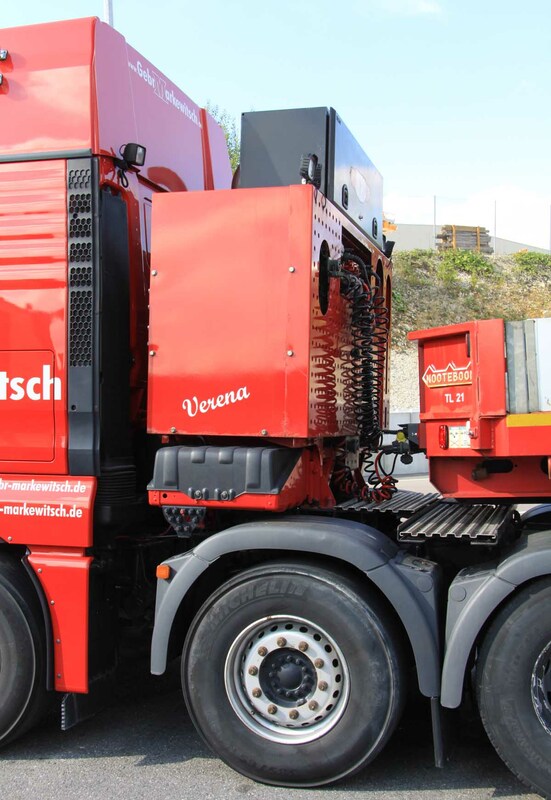 Behind the cabin are the diesel tank, AdBlue tank, battery, storage compartment and compressed-air tanks installed. Between the axles wasn't any space left. 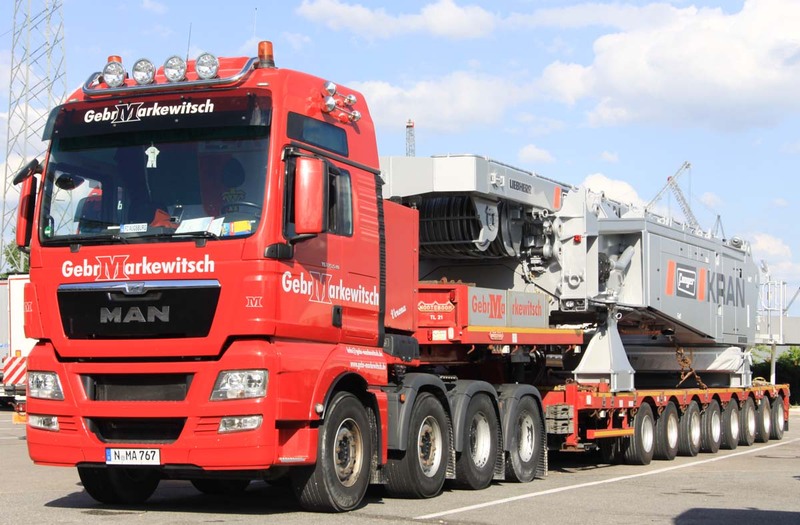 Attached is an 8-axle Nooteboom semi low loader. The superstructure of the LR 1750/2 is 15.8 meters long, 3 meters wide and 2.72 meters high. 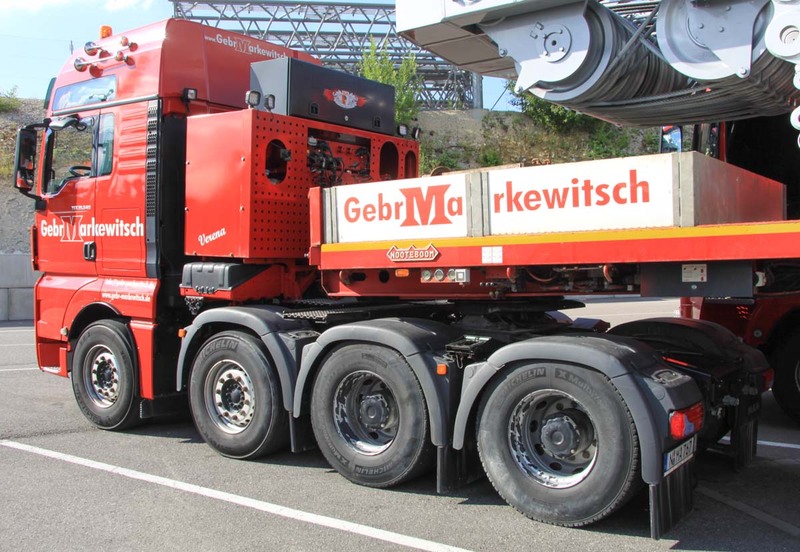 Inclusive the transport frames is the mass 60.6 tonnes.